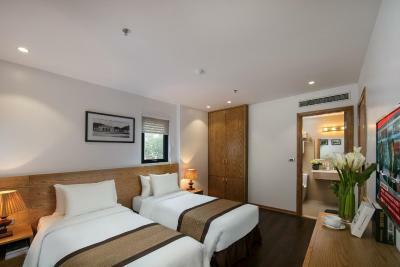 Lock in a great price for Sunline Paon Hotel & Spa – rated 8.7 by recent guests! 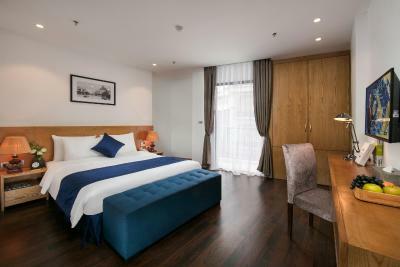 Good location, near to beer square and Hoan Kien lake. 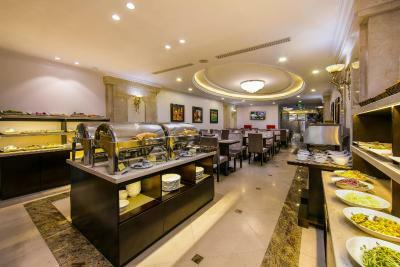 Amazing buffet breakfast and lot of choice. Room and Bed are nice, clean and comfortable. Bathroom was clean. 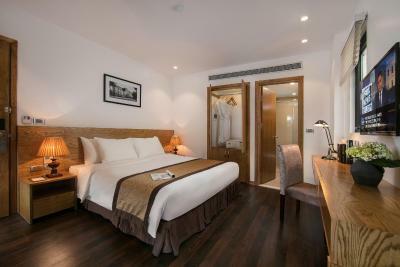 Great location, comfortable bed, very friendly and helpful staff. 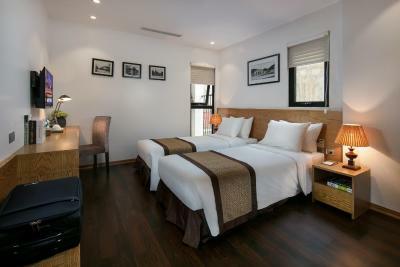 A little overpriced for Hanoi and the breakfast is very average but all in all, a good stay. From the moment we walked in the door Mr. Tom made us feel very welcomed in Hanoi. He advised us where to visit that evening (incredible night market), had the bell man purchase water puppet tickets for us and made sure we had excursions set up during our stay. The room was spotless, comfortable, had bathrobes and additional toiletries such as toothbrush, toothpaste, ear buds and razor. The breakfast was plentiful and the staff was attentive and efficient. 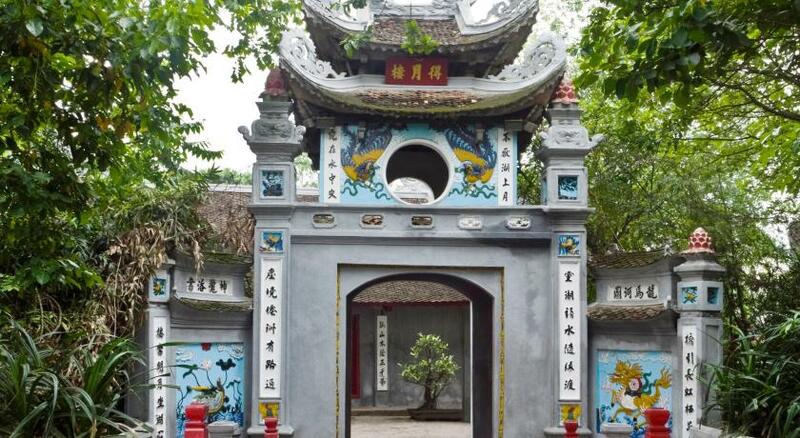 The location was perfect for touring the old city and other attractions in Hanoi. We will definitely stay again when visiting Hanoi. Thank you Mr. Tom for your kindness and professionalism. We enjoyed our stay there.....it was clean and comfortable. The staff helped out with everything and spoke English, which made life easier. Being in the old quarter and close to the lake was a treat. It was very easy getting around on foot. This hotel is in a fantastic location! We were very close to the Ho Kiem Lake and all the evening street food action! The staff here were professional and generally accommodating (though not the best service we received on our travel through 6 cities in 3 countries on this trip). One gentleman was kind enough to go off to get me tickets for the water puppet show (for a fee, of course). They arranged for our taxi to and from the airport. The entry way is very lovely. Their attention to detail was good; they checked the room as we were completed check-out and reported that we had left nothing behind. Breakfast selections were not exciting but adequate. The room and beds/linens were clean. 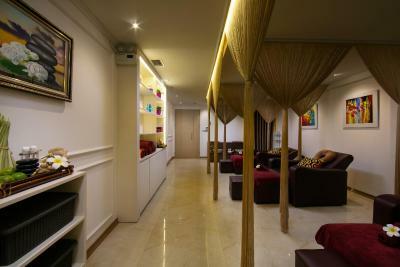 The whole experience at Sunline Paon Hotel was great! 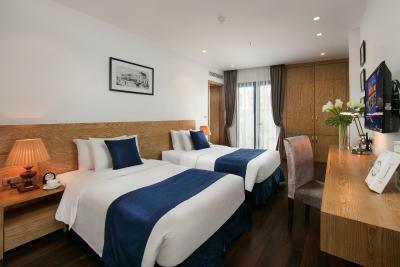 The service from the staffs, the cleaniless of the room, the simple yet delicious breakfast and of course the perfect location, just few minutes walk from the Hoan Kiem Lake. Everyone has really been great, thank you to Lily & Nin and the bell boys, for making the stay so wonderful! 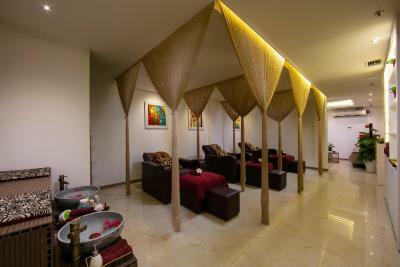 The staff were cheerful and very attention e to our needs. The breakfast was fantastic. The hotel gave us a 5 star feels.... will come back here in the future! Thank you. Excellent location. Great and helpful staff. Nice rooftop pool to cool off. Good variety at breakfast. Clean and comfortable. Very nice location and breakfast. The staff was so nice and even brought a birthday cake for one of us! Lovely :) The room was nice. 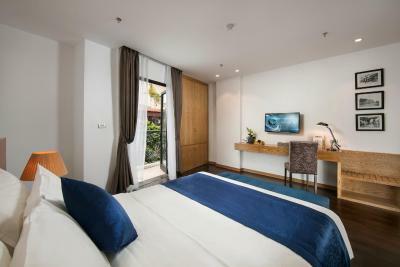 Sunline Paon Hotel & Spa This rating is a reflection of how the property compares to the industry standard when it comes to price, facilities and services available. It's based on a self-evaluation by the property. Use this rating to help choose your stay! 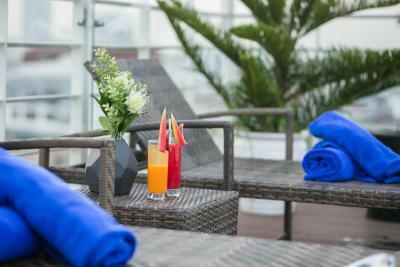 One of our top picks in Hanoi.Sunline Paon Hotel & Spa offers a small swimming pool in Hanoi's Old Quarter Area, 1,650 feet from Hoan Kiem Lake and the Red River. Guests can chill with a drink at the bar which offers panoramic views of the river and city. 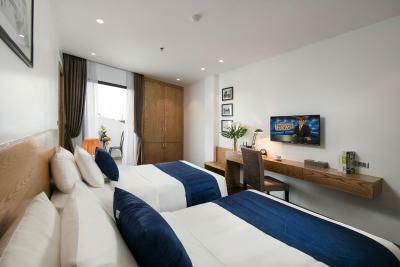 Featuring free WiFi access, all elegant, nonsmoking guestrooms are cooled with air conditioning, and feature an LED TV, and a mini-bar. 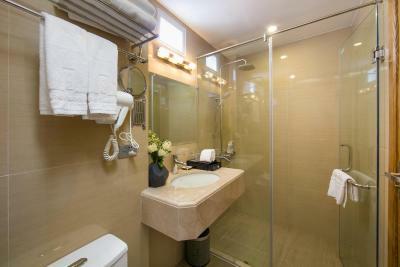 Room is also fitted with a dressing table, personal safe, and wardrobe. 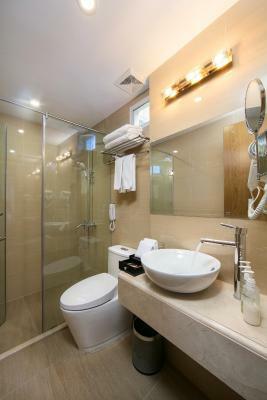 Private bathroom comes with either a bathtub or shower, hairdryer and free toiletries. 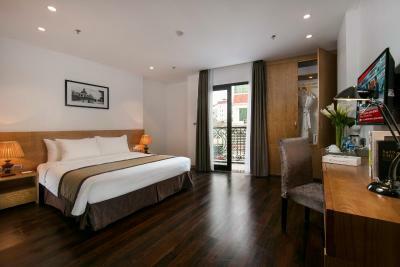 Most rooms are furnished with window or private balcony that opens out to views of the Hoan Kiem district. 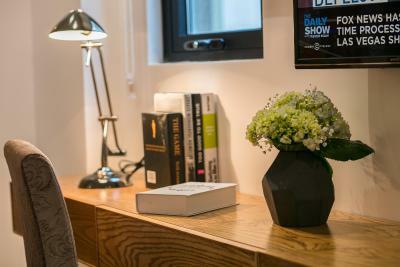 The hotel operates a 24-hour front desk. 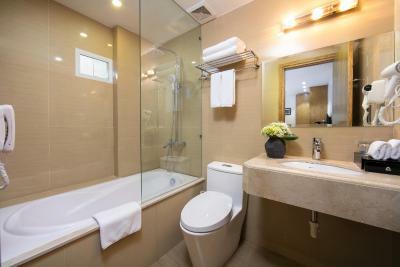 The nearest airport is Noi Bai International Airport, 13 mi from Sunline Paon Hotel & Spa. 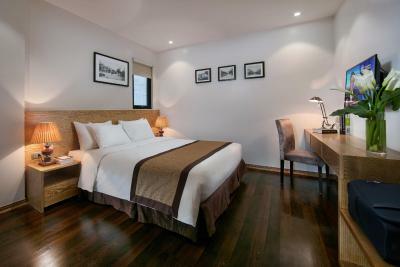 When would you like to stay at Sunline Paon Hotel & Spa? 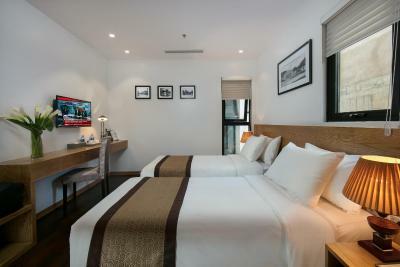 Air-conditioned room is fitted with a large window, cable flat-screen TV and private bathroom. Please note rooms with city view are subject to availability. 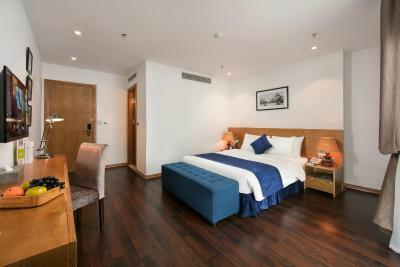 Featuring a private balcony overlooking Hanoi's streets, this room comes with air conditioning, a cable flat-screen TV, sofa and private bathroom. 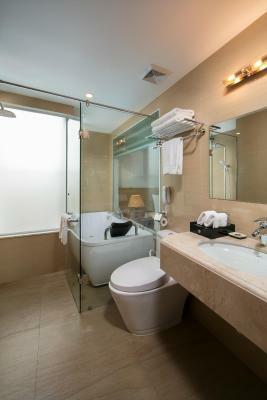 Largest room offers 3 windows with view of the city, air conditioning and a private bathroom. 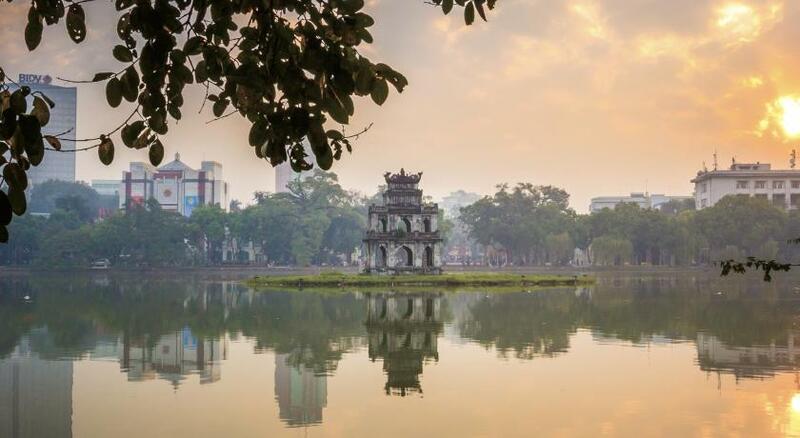 Warmly welcome at the heart of Hanoi! 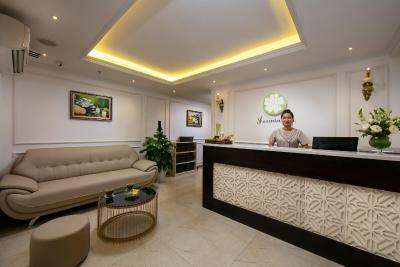 Sunline Hotel is a tourism property established by Japanese investors. 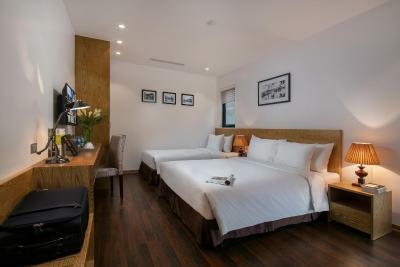 Located in the Old Quarter of Hanoi, this charming boutique hotel is near Hoan Kiem lake and Red River with a significant neighborhood that offers an outstanding value to business travelers as well as leisure travelers to explore the city’s atmosphere and culture. CORDIAL SMILES Sunline’s hospitality presents a passion for service with all the conveniences beyond guests’ expectation. Our team members speak Vietnamese, English and Japanese and carefully attend every of your needs and preferences from the moment of arrival to the departure day. 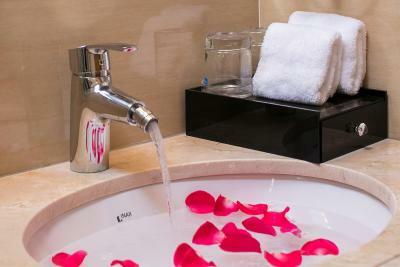 House Rules Sunline Paon Hotel & Spa takes special requests – add in the next step! Sunline Paon Hotel &amp; Spa accepts these cards and reserves the right to temporarily hold an amount prior to arrival. Sunline Paon Hotel & Spa accepts these cards and reserves the right to temporarily hold an amount prior to arrival. 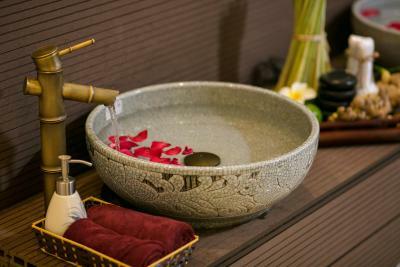 Please note that the spa center is available from 30 June 2018 onwards. 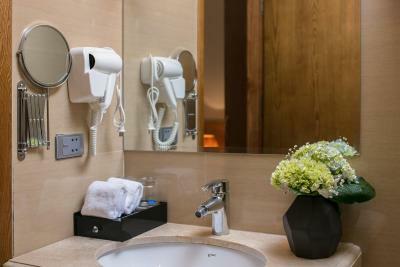 A 200 USD cleaning fee incurs if in-room smoking is detected. Breakfast very average but has the essentials. Annoying rooster outside our room that went all day long. Great location. Staff were friendly and helpful and recommended an amazing overnight cruise in ha long bay. Great location and super helpful staff. I felt the photo on booking.com for our room was a little deceiving. Understandong english. Extra room needed. Special thanks to Lye for all her help and assistance with our stay. We booked the Halong cruise with the property and at the end they had to change cruise and got a very different thing from the pictures they showed us first. Also they charged prepayment when it was mentioned on the booking that it wouldn't be charged. Be aware to ask for receipts always. Very nice and kind personal. Interesting breakfast (e.g. kimchi ). Perfect position near to old town. Veey nice pool on the roof with nice view. Perfect location. Lovely breakfast and great pool and the staff couldn’t do enough for us. Highly recommend! The breakfast choices were good and the location was very convenient. Having only experienced one night. Our view is limited. However as stated, we couldn't have asked for more in terms of accommodating needs, providing information and helping with arrangements. Nothing negative I can report personally. My partner and I booked quite late however we were extremely well accommodated and had a lovely stay. 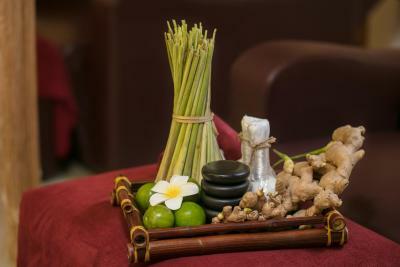 The staff were particularly helpful and facilitated our travel arrangements excellently. 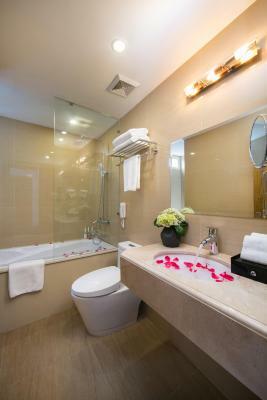 The room was clean, good facilities and we enjoyed the advantages of the in-house spa! Bonus upgrade to a business room was a real treat. 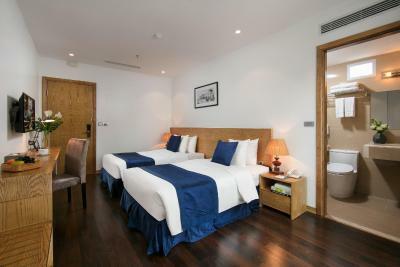 The room itself is spacious and clean. Good pressure shower with hot water. Walking distance to the weekend night market and lake. Lots of eateries and spas/massage places nearby. The staff were all so helpful and friendly with booking day trips and recommending local delicacy restaurants. Ultimately a very enjoyable stay. Good varied breakfast. Very friendly and helpful staff. Great location. Quiet room. The breakfast could have more variety for western tourists. The location of the property is excellent. Only 5 minute walk from the lake to all the shops & restaurants. Five minute walk to the night market and about 30-35 minutes to the airport. The pool is lovely to have in the city. The staff were super accommodating and met any needs that were raised. Could not fault them.